Soak dry double beans overnight in enough water. Next morning drain excess water & peel the skin. Skin is removed very easily. 5. Add water & mix well. Cover the pan till double beans cooks properly. 7. Add jaggery, goda masala & salt. Cover the pan for 2 minutes. Add little water if required. Do not over cook. 8. Add 1/4 cup fresh coconut & 1/2 cup ground in mixer with 1/4 cup of water. Add chopped coriander ( preserve some for garnishing). Mix & let it cook without covering the pan for 2-3 minutes. Enjoy this tasty curryl with hot fulka. It is the season of fresh green peas here in India !! 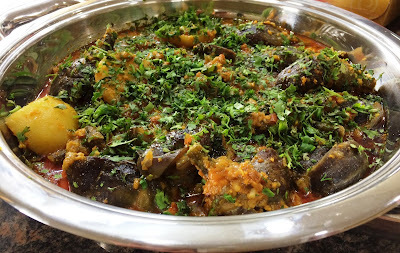 I tried this matar karanji in baked version & it turned out very good! Add oil in a pan. Turn on the gas. Add chilli, garlic & ginger paste one by one & roast nicely. Add boiled & crused peas & mashed potato. Add salt,cumin powder & garam masala. Add lemon juice. Mix properly. The mixture should be dry. Keep aside to cool down. In a big bowl mix together whieat flour, maida, salt & baking powder. Add oil. 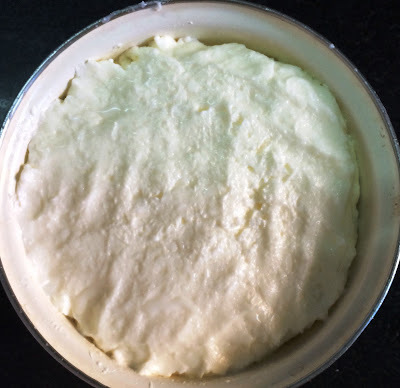 With the help of water prepare a medium soft smooth dough. Keep it covered & let it rest for 2 hours. 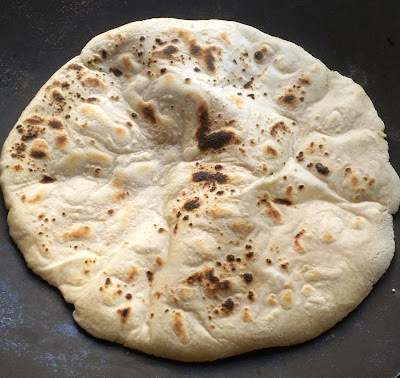 After 2 hours prepare 3 bases like thick chapati. Spread corn flour ghee mixture on each base.Roll tightly all three & cut into pieces as the size of karanji you want. Roll each piece with pin & fill with stuffing. This karanji is not crispy. It is soft but tastes yummy. 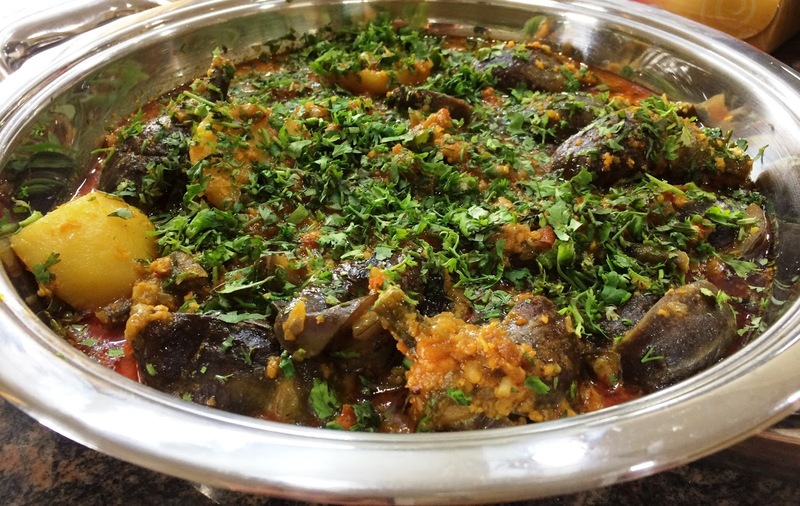 Enjoy hot stuffed karanji with tomato ketchup or with chutney. It is the season to get fresh amlas in the market. Can't stop myself to purchase some. Prepared instant amla achar & morabba too! Both tastes yummy & healthy too ! Very simple & easy recipes! 1. In a pan add 1 cup of water & start boiling it. 2. Add wholes amlas & keep on boiling for about 10 min. or till amlas become soft. 3. Turn off the gas & let them cool. After cooling cut into small pieces. 4. In a pan add oil. Add mustard seeds, hing & turmeric powder when oil becomes hot. 5. Add amla pieces, saute for a minute & turn off the gas. 6. Add masala, red chilli powder, salt & sugar. Mix well. 7. Yummy pickle is ready. 8. Let it cool & keep in glass container. 1. Add grated amla , sugar, & jaggery in a pan. 3. Mixture will be watery as sugar & jaggery melts. Add cinnamon & cloves. Let the mixture become thick. Turn of the gas. Add cardamom powder. Mix well & it is ready. 4. Let it cool & keep in glass container. Enjoy both with phulka, bread or rice. Pl note these recipes will not last long. Keep in fridge upto10 days.